Evidence of exposure to the African Horse Sickness virus (AHSV) was found in more than 85 percent of horses enrolled in a study in a region of Sudan. The findings of the research have just been reported in the journal BMC Veterinary Research. Imadeldin Aradaib and his colleagues carried out molecular-based testing for antibodies to the virus in blood taken from 320 horses from four randomly selected localities within Khartoum State in central Sudan. Khartoum state was selected as it is considered the center for international trade of horses in the country. The Sudan has a large numbers of horses, which play an important role in racing, and transport in remote areas. The study team found that 275 of the 320 horses – that’s 85.9% – carried antibodies indicating previous exposure to the potentially deadly virus. They said the high prevalence of the virus in the region showed the need for continuous surveillance for African Horse Sickness infection to prevent a possible disease outbreak. The authors said infectious viral pathogens, such as AHSV, are re-emerging as major veterinary problems in different parts of Africa. They noted that little information was available about the epidemiology of the virus in the Middle East and East Central Africa, including the Sudan. The authors noted that there was no vaccination program for AHSV in the Sudan, meaning the detected antibodies were due to natural infections. The study also revealed that exotic cross-bred horses were at five times the risk compared to the local breed of Sudanese horses. Higher seroprevalence was observed among cross breeds with a high percentage of exotic blood. “Exotic breeds are usually highly susceptible to bites of insect vectors and subsequent development of AHSV infection. “In contrast, the indigenous breed of horses are relatively resistant to bites of insect vectors, hence they were at lower risk for the disease compared to cross breeds. In addition, they found a significant difference between AHSV seropositivity and the activities of the horse, particularly those involved in horse racing. “Racehorses are three times more likely to be at risk compared to other horses involved in transportation activities. 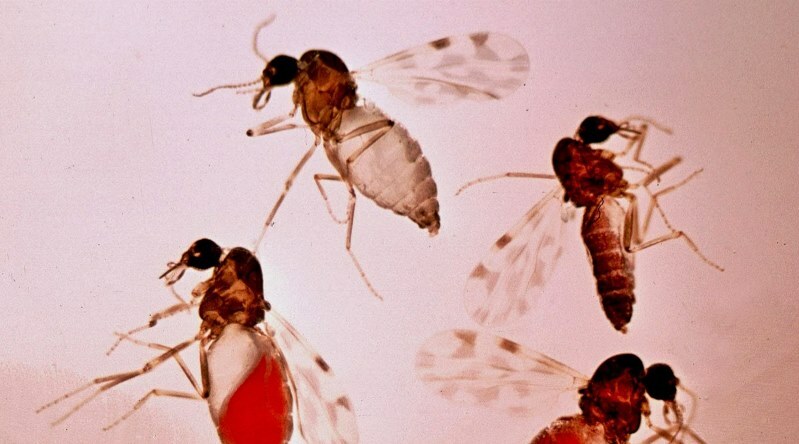 The highest rates of AHSV seropositivity (94%) were recorded among horses in the East Nile region, most probably due to construction of irrigation projects and agricultural schemes in the area, which provide good conditions for the breeding of Culicoides midges, which carry and spread the virus. The findings, they said, suggest that AHSV is becoming broadly distributed in Sudan. They said early diagnosis during disease outbreaks among non-vaccinated equines would be necessary for prevention and control of the disease. African Horse Sickness is an acute disease of horses, which can cause the death of the infected animal. In other equines, such as donkeys and mules, infection is usually subclinical. However, infected mules can amplify the virus and play an important role in the spread of the disease. AHSV is related to bluetongue virus (BTV), epizootic hemorrhagic disease of deer virus (EHDV) and palyam serogroup of orbiviruses. Siham T. Karamalla, Ahmed I. Gubran, Ibrahim A. Adam, Tamadur M. Abdalla, Reem O. Sinada, Eltahir M. Haroun and Imadeldin E. Aradaib.